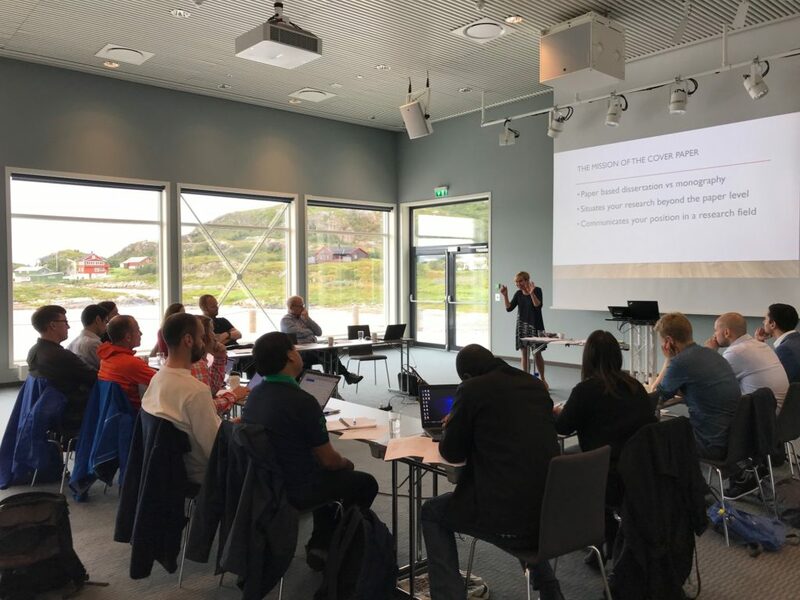 Photo: Participants at Sommarøy Arctic Hotel Tromsø. Students and Faculty: Norsi arranged 22-24 August 2018 a writing workshop focusing on how to write the introduction to article-based dissertations. 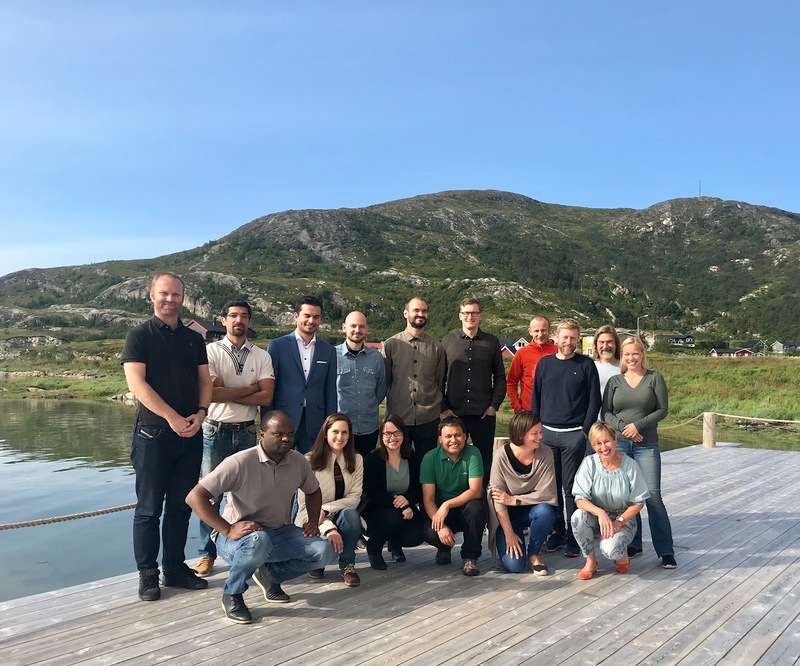 13 Norsi students from different institutions all over Norway got together at Sommarøy Arctic Hotel, Troms to get feed-back and inspiration from Norsi faculty and their peers. 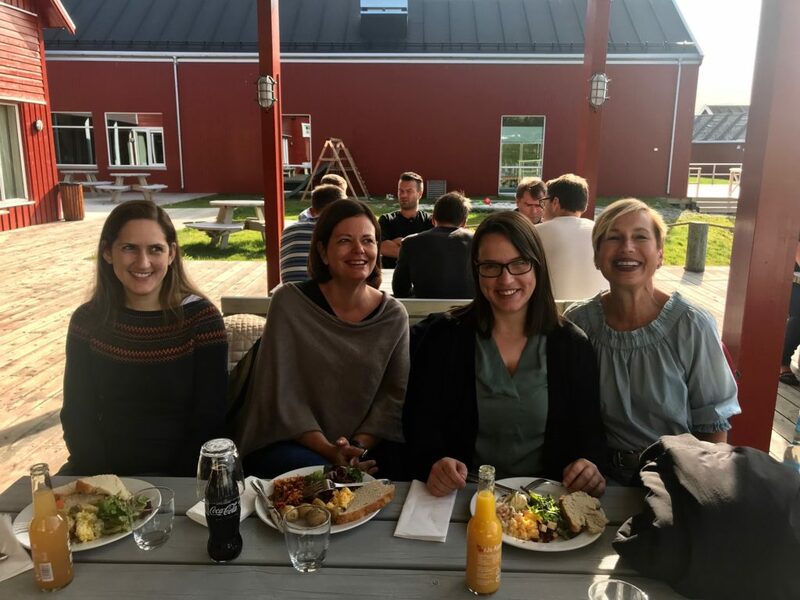 The seminar coordinator was professor Lene Foss, Artic – UiT who were joined by professors Roger Sørheim, NTNU and Rune Dahl Fitjar, UiS. Kappa – format: The seminar was held to highlight some of the confusions often surrounding the “kappa” writing process as there is no clear standard for the “kappa” – neither in terms of form, content or scope and each academic institution usually have developed some requirements of their own. Sommarøy: The island delivered inspiring nature, stunning sunsets, time to reflect and write, and of course good tasting salmon dishes. Faculty at sunset! Roger Sørheim,NTNU, Lene Foss, UiT and Rune Dahl Fitjar, UiS. The Mission of the paper – placing your research in the field. 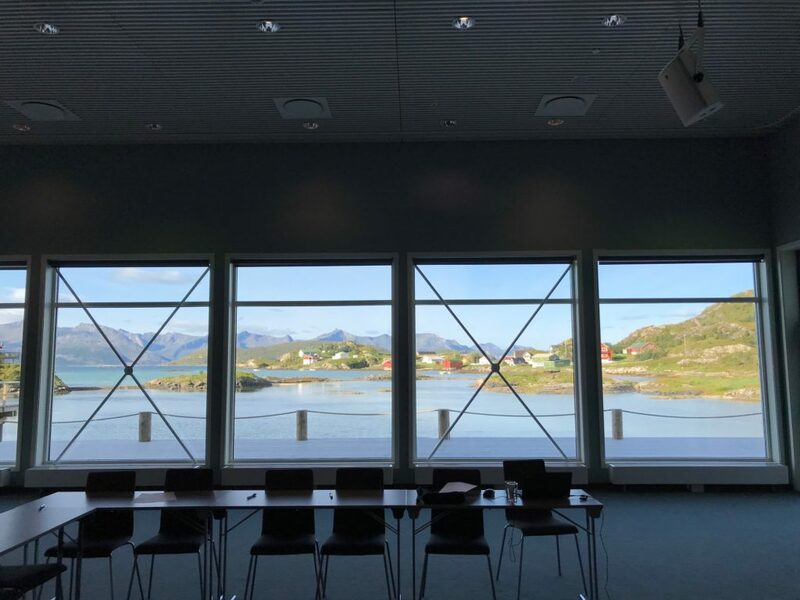 A seminar room with stunning views! 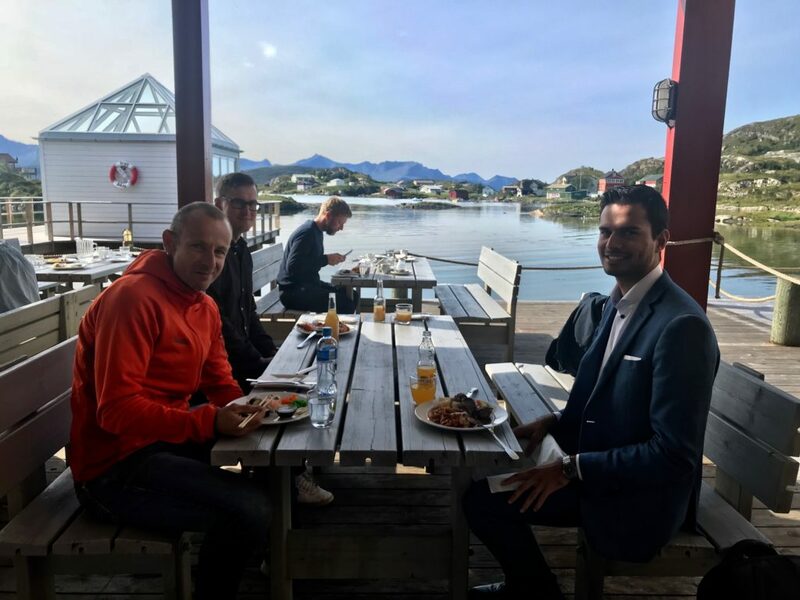 Lunch outside – Norsi students Knut Egelie,NTNU, Tuukka Mäkitie, UiO and Petter Gullmark, Nord and Odd Rune Stalheim, INN in the background. Norsi students Tahrir Jaber, UiT, Hilda Bø Lyng, UiS, Kjersti Kjos Longva, NTNU og professor Lene Foss, UiT.